Becca started her love affair with cars in high school. She attended Montclair High School, which had a special program for auto mechanics. She went on to graduate from The University of Wisconsin-Madison with a Bachelor of Science. After working a few years, she decided to go back to school for auto mechanics. She attended Lincoln Tech in Union, NJ and received her degree. Becca has passed all her ASE exams and is qualified as a Master Technician. She has worked as a technician repairing cars at Sears, Nissan, Mitsubishi, and Mazda. When she became pregnant, Becca left the shop to work as a Service Advisor at Nissan. With experience both in the shop and behind the desk, Becca knows the inner workings of dealerships and aftermarket repair shops. She has experienced the good, the bad and the ugly. After countless conversations with friends and family, it became glaringly obvious to her that the general public is not getting a fair deal when it came to repair work. The idea for this class started a long time ago, and now it has blossomed into something great. 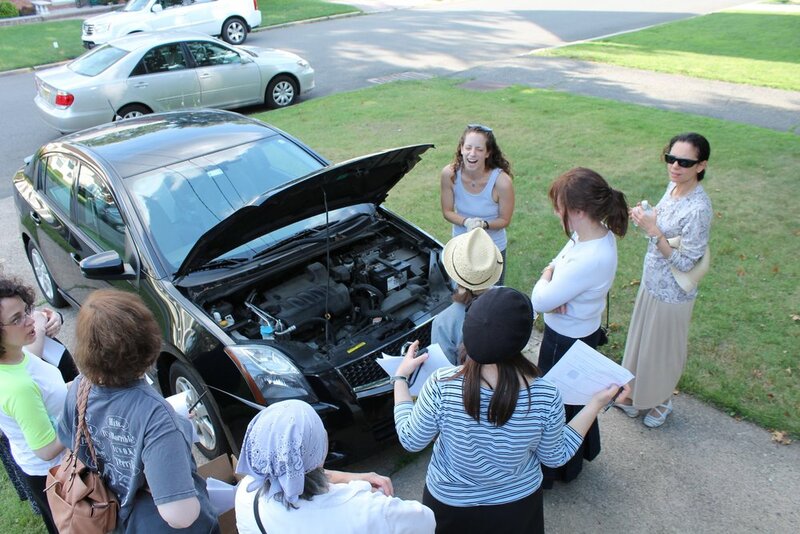 Car Class with Becca has already helped so many and it can help you too.